When you work from home, you have to make sure that you are motivated at all times. Whether you work for a company or you’re self-employed, you have to be a self-starter if you’re going to get anything done. While working from home sounds like a dream to a lot of folks, not everyone will be cut out for it (raises hand!). Because you have to have that focus-- and you have to get yourself to work--even when you don’t want to. One simple way to keep yourself motivated and inspired at home is to create a motivating and inspiring home office. Let’s take a look at five ways to do that. If you have a home office that's seen better days, or is lacking in style and personality, then it's time to spruce up your space. One of the quickest and easiest ways to find home office inspo is to simply Google "home office inspiration". You'll no doubt find thousands of images of home office decor which you can bookmark for inspo. Take it one step further and create a board on Pinterest. Pin images, ideas and inspiration (like this article--ha!) into a board you can refer to time and time again. Want another idea? Create a wishlist on Amazon! 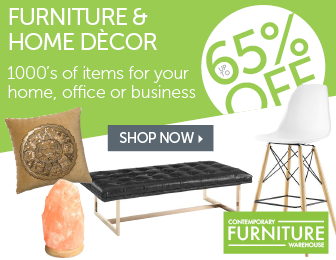 Peruse the site for furniture, accessories and more and save them to your wishlist. If your home office has a workstation that dated, old and damaged, and an office chair that's scratched, scruffy and uncomfortable, it's time to upgrade, because nobody is going to be inspired working in a spot like that. Check out Comfy Desk Chairs In Stylish Luxury Designs to get ideas on desks, chairs and accessories for your home office. The best part of this site is that they offer item descriptions, rating and prices so you can decide what works best for your office situation. When I was a kid, one of my favorite memories of school was when we moved our classroom outside on a nice, sunny day. We'd sit on a hill overlooking the school grounds while the teacher taught whatever she taught. I absolutely loved days like that, and now I try and work outside as much as I can. I created a space on my 3rd floor porch just for times like these. A small bistro set doubles as the perfect place for coffee in the morning, yet fits my laptop, cell phone and note pads perfectly for when I'm working. I decorated my outdoor workspace with a few hanging plants, a small fountain and some melodic wind chimes. Whether you’re staying inside or going outside, your office space needs to provide you with motivation. This could be in the form of gorgeous prints from Samuel Burns Landscape Photography to enhance the mood and make you think of vacations and holidays, or it can be inspirational quotes and sayings to get you feeling inspired. The wall above was created with chalkboard paint and is a great way to jot down notes, take messages and make a quick list. If you really want to make big changes to your office, maybe it's time to upgrade your equipment. Older computers have slow processors and low quality graphics. In this day and age you'll need newer technology to video chat with colleagues, use peer to peer networks for data sharing and even be able perform simple tasks like cloud computing. Your printer should triple as a fax machine and scanner, too. You can even "accessorize" your office space with a new coffee machine! Want even more inspo? Check out these "desk sets" we put together on amazon.